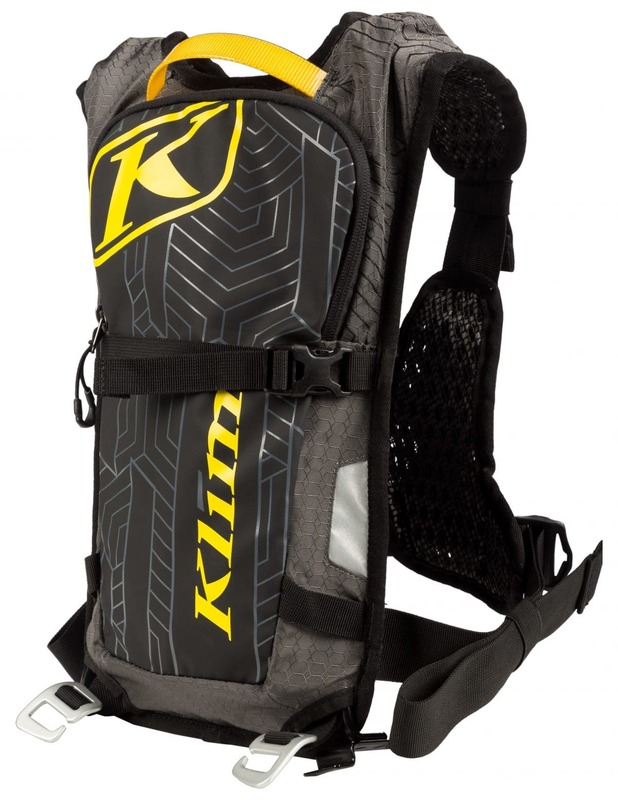 KLIM redesigned the popular Quench Pak and Scramble Pak to further suit dual-sport and enduro riders who depend on light weight and maximum utility. Both are designed to handle long days of racing or big off-road rides away from resources. 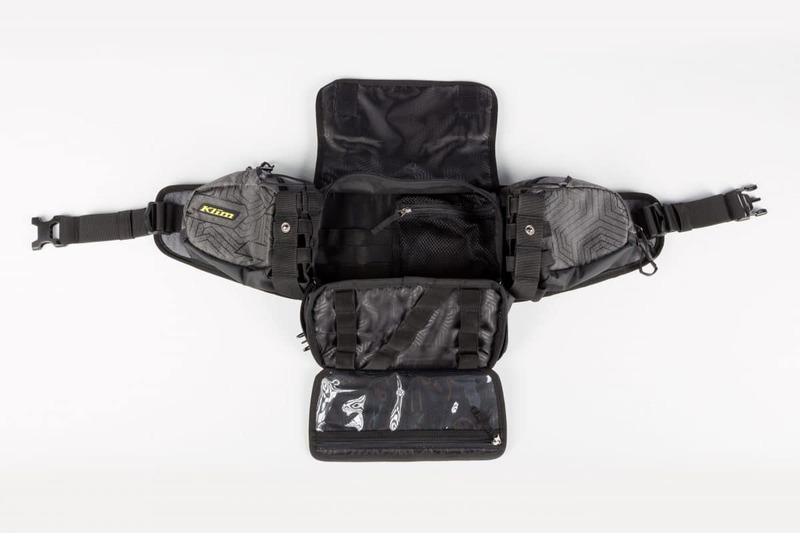 The Quench Pak is built to be the most efficient, ventilated method of carrying water and a few necessities without restricting range of motion. The already light backpack is equipped with the KLIM Harness System to simply and intuitively keep the durable pack where it’s most comfortable. 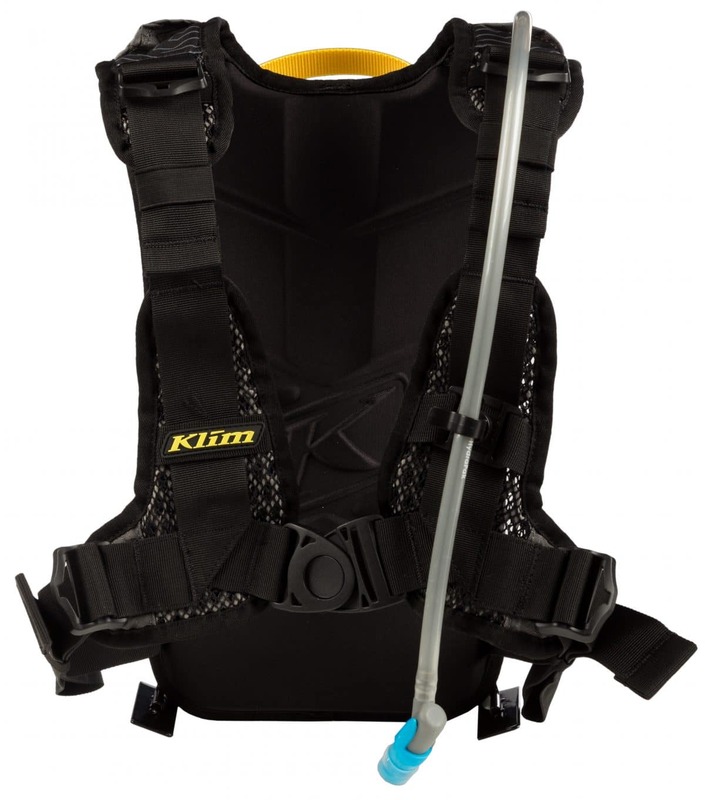 Hydration is crucial, so the 1.5L/2L expandable KLIM Hydrapak reservoir is included. The minimalist, utilitarian design of the Quench Pak is built to securely attach a KLIM Tool Pak (not included) to carry trailside tools. An internal mesh pocket keeps keys or small snacks in easy access. 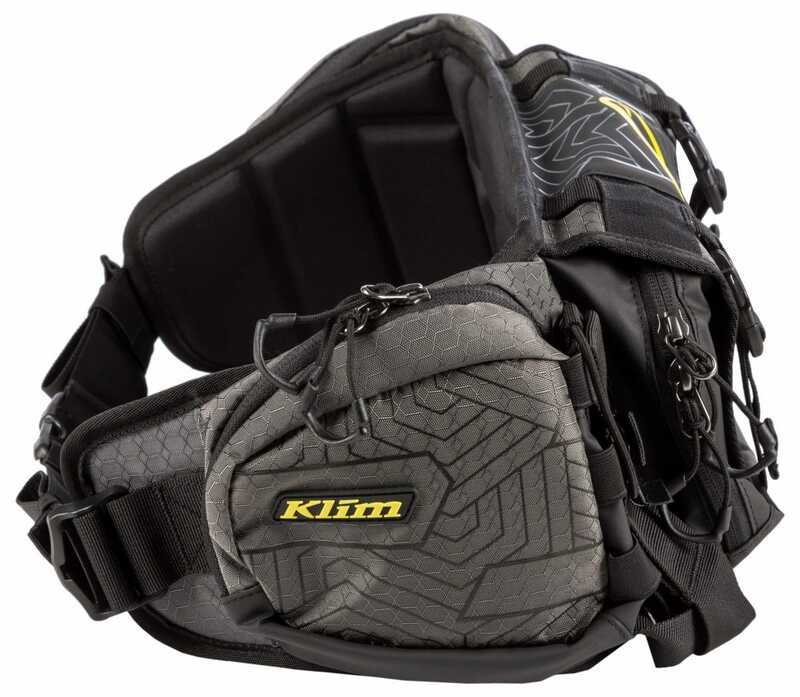 KLIM refined the Scramble Pak to be the most accessible, intuitive way to carry equipment in a lightweight and durable system. 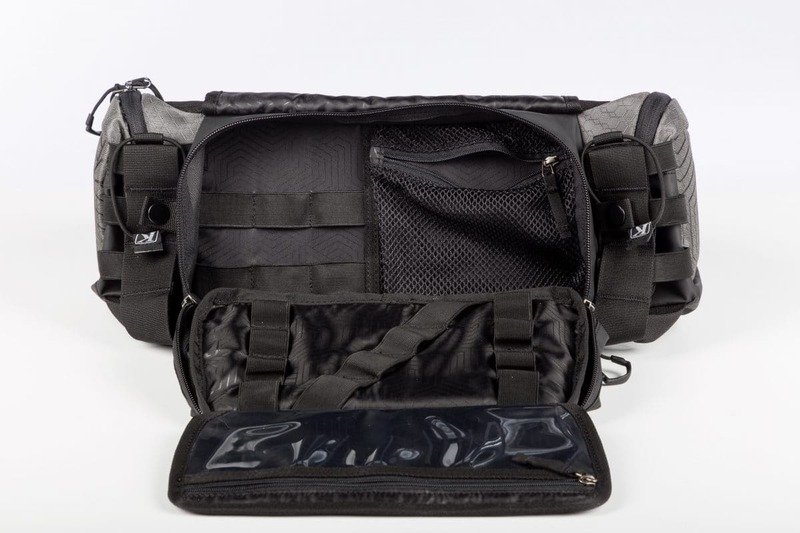 The water resistant main compartment organizes tools with elastic straps and a mesh pocket. The zippered side hip pouches with internal mesh pockets further organize things like snacks, car keys, a headlamp, and other miscellaneous items you’d like to bring along. 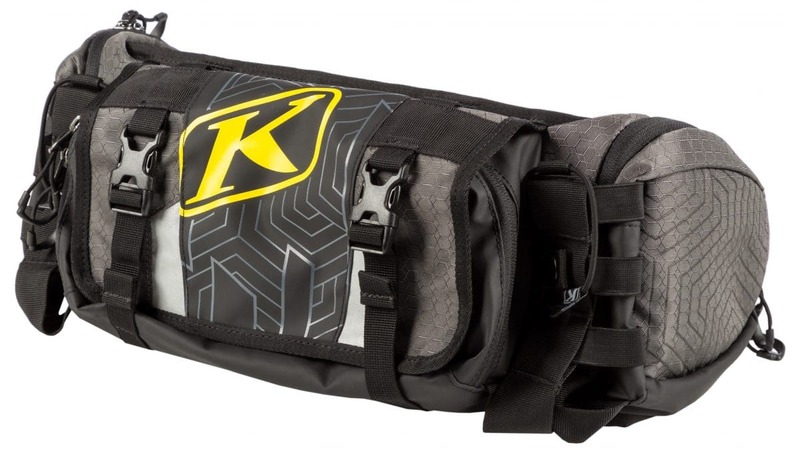 For hotter weather or two-stroke riders, another pair of expandable pouches can carry water bottles or oil bottles, and fold away when not in use. 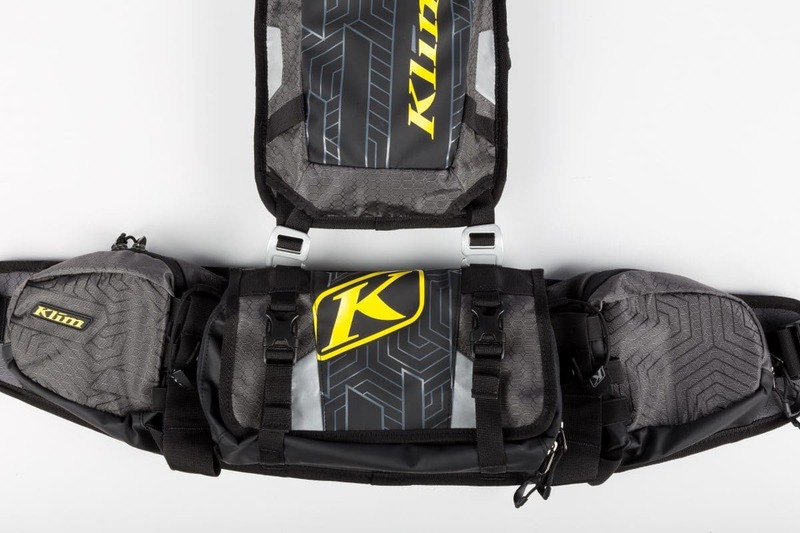 To enhance the functionality of these packs, KLIM engineered the Scramble Pak to connect to the Quench with two metal hooks. Experience lightweight self-reliance with the Scramble Pak and Quench Pak for off-road equipment and hydration.